Smugglers Creek is proud to participate in this year’s TasTY Food Tourism Project which was officially launched on 14th March by Mr Patsy Barr, Chairman of Donegal Town Credit Union. 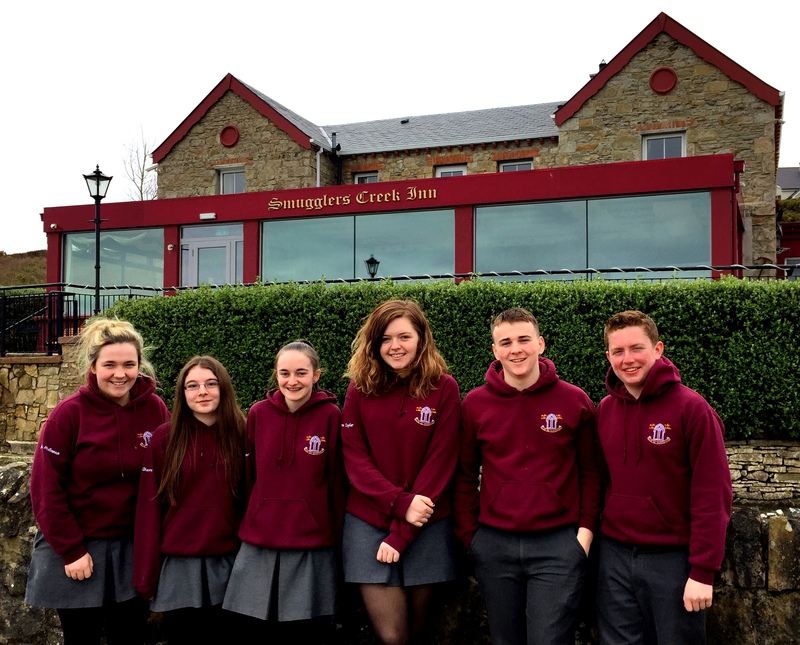 Seven leading hotels and restaurants in South Donegal have teamed-up with Abbey Vocational School TY Students. Together, they are set to cook-up a storm and have been challenged to produce a new “TASTY” food dish that features locally sourced ingredients. During the course of the project, each of the participating AVS TY students will get the opportunity to work alongside tourism industry professionals and learn “first-hand” about Food Origin and Sourcing, New Product Development, Culinary Arts, Food Packaging, Marketing, PR and Presentation Skills. The project will conclude with a Gala Presentation and Awards Evening hosted by Solis Lough Eske Castle on 16th May 2017. On the night, each of the seven TY teams will present their culinary work to an invited public audience to taste. Presentations will be awarded for the TASTY 2017 Winning Team! 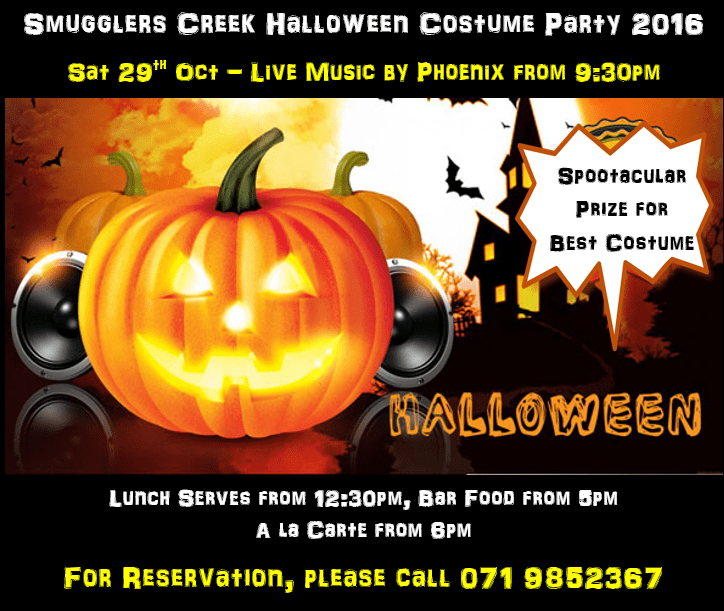 Smugglers Creek is on Page 91….happy reading. 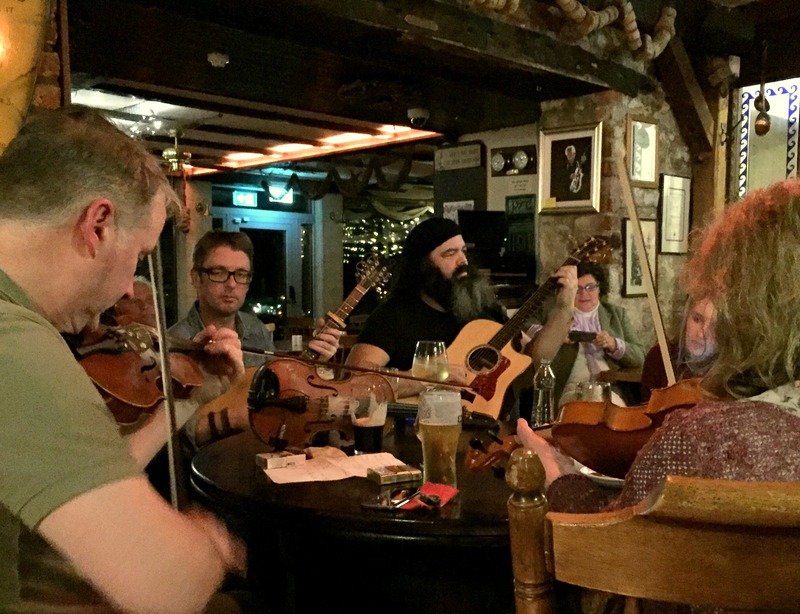 Our 2nd TRAD Session at Smugglers last night was a legendary evening of fiddles hopping, feet stomping and croaky voices singing traditional tunes. 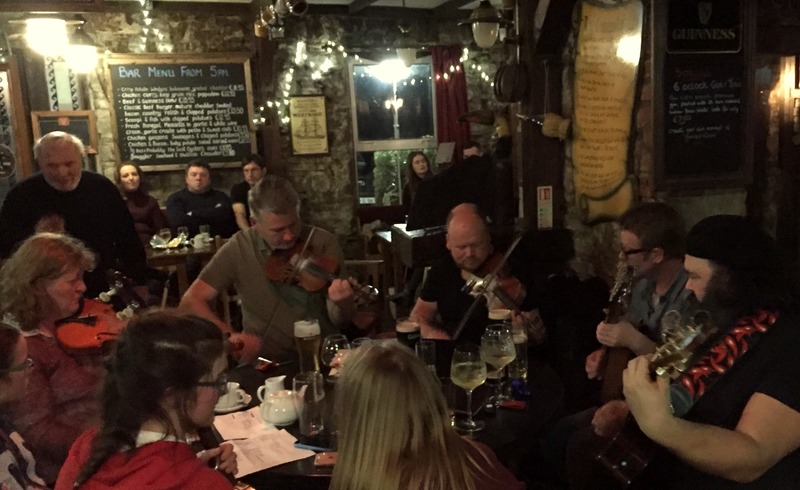 No egos, no pretension, it was a night where some of the best musicians in Donegal gathered. So, don’t miss the next one, we’ll keep you posted here on Facebook. Thank you Johnny Gallagher, James McNamee, Sennan Brennan and Peter Campbell who made the evening so much more memorable! 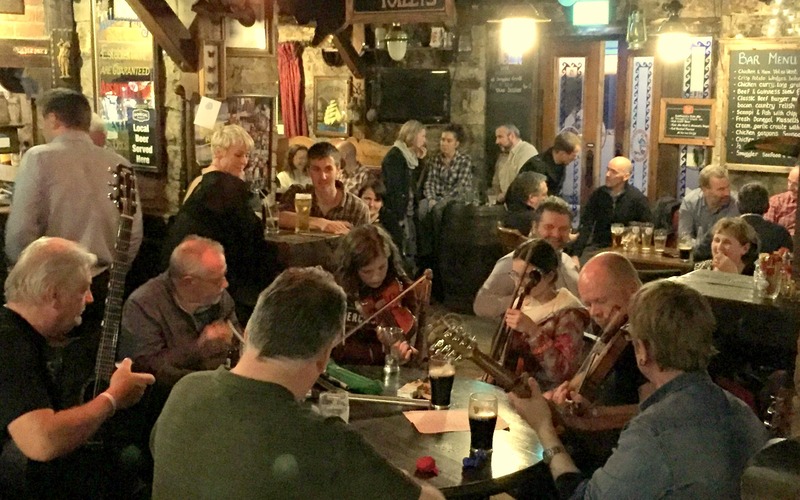 Smugglers’ first Open TRAD Session took place last Friday night (4th Nov) received overwhelming support with talented musicians, young and seasoned, gathered informally and played traditional Irish music in the Bar over a few drinks & craic. As some might say Traditional Irish Music is food for the Soul, so we would like to put it on the Menu for 2017, watch this space for more upcoming TRAD Session dates. Thank you James, Barry, Sean, Sennan and Peter and those who played on Friday night! 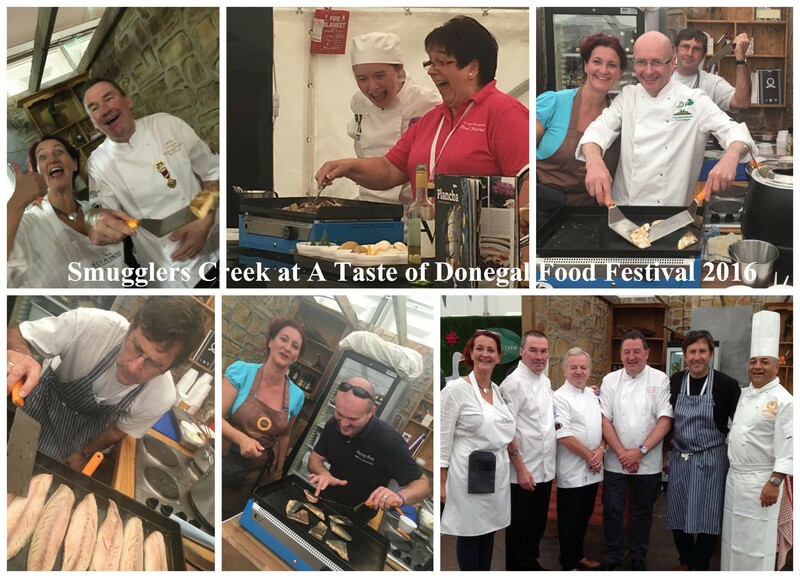 This year, Smugglers Creek is back at A Taste of Donegal Food Festival. We cooked all our food on the “Plancha” – a cast iron flat top griddle, which promotes healthier cooking. For those of you who visited the stand, and tasted the mussels, fish and duck that were cooked on the Plancha were very impressed with how tasty and fresh they were. Smugglers were also delighted to receive 2 Bronze Medals for our Chefs Sinead Morrow and Mark O’Reilly at the Passion to Inspire Chefs Competition. Dolphins came to play in Donegal Bay & Rossnowlagh Beach! 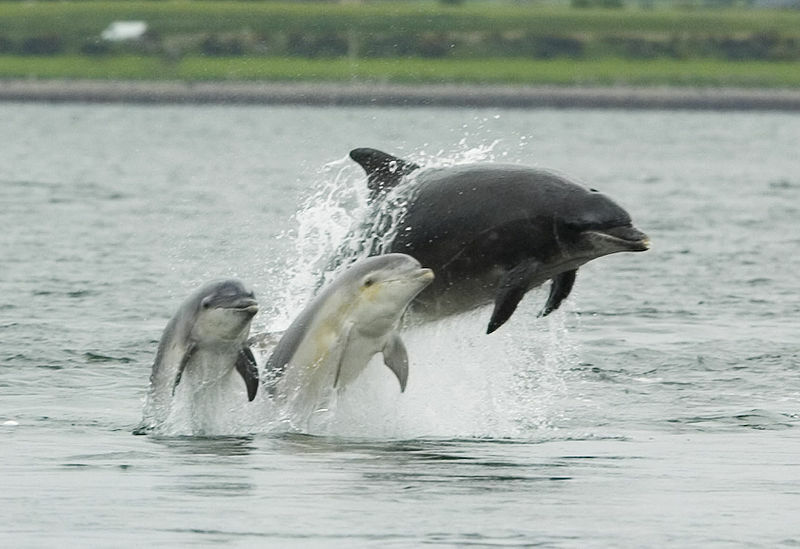 According to a report by Pet Insurance Ireland, as many as a hundred bottlenose dolphins have decided to take up their home in the seas of County Donegal. The pod of dolphins have been spotted in Donegal Bay between Rossnowlagh Beach and Doorin Head. I have personally tried to video them but that was proven difficult with just a standard camera, so here is a photo of what the dolphins look like should anyone mange to get close to them! Visitors and staff alike managed to spot them on and off in the past 2 months, so do look out for them if you are paying us a visit! 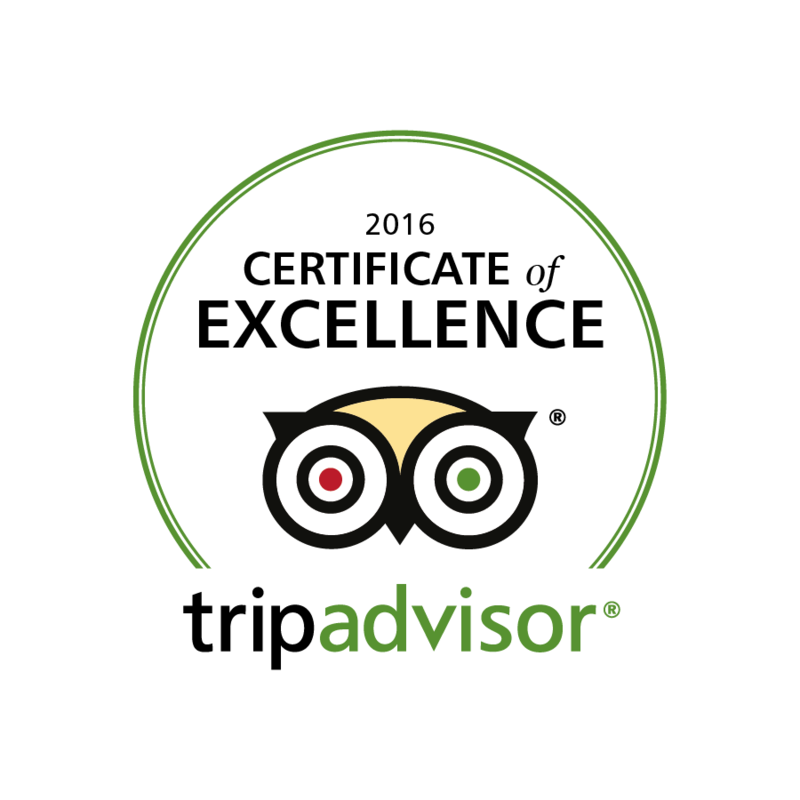 Smugglers Creek is pleased to announce that we have received our 6th TripAdvisor® Certificate of Excellence Award. It accounts for the quality, quantity and recency of reviews submitted by travellers on TripAdvisor over a 12-month period. To qualify, we must maintain an overall TripAdvisor bubble rating of at least four out of five, have a minimum number of reviews and must have been listed on TripAdvisor for at least 12 months. Thank you again for all the contributors, we couldn’t have achieved this without your feedback. 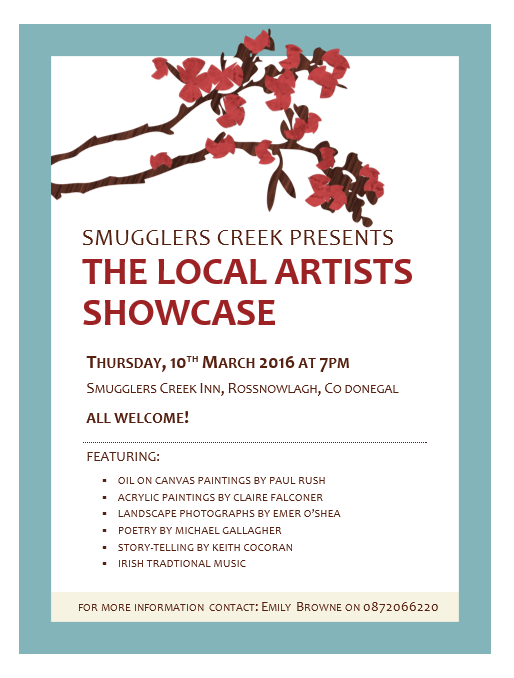 Thank you for those who attended Smugglers Creek First Local Artists Showcase on Thursday, 10th March. 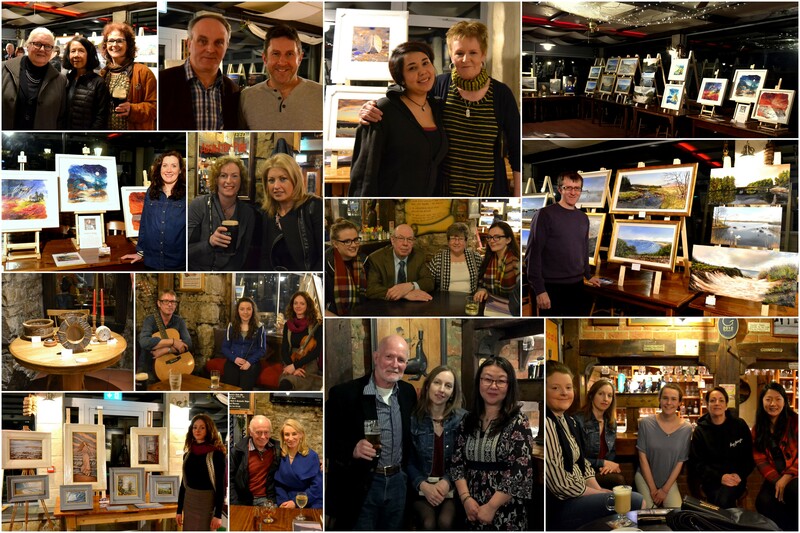 We all had a wonderful time admiring the paintings by Paul Rush & Claire Falconer, the Hand Felted Landscape Artwork by Michelle McKee, Landscape Photographes by Emer O’Shea, woodturning products by P J Wymbes, enjoyed Poetry Recital by Michael Gallagher, Storytelling by Keith Cocoran, Traditional Irish Music by Seanan Brennan, Brogan and Claire Falconer. Finally, we were treated to wonderful singing by Eadaoin Rush. We hope to make this a regular event, so calling all artists who wish to get involve for the next one, which will be in November 2016, to get in touch with us.